Are you looking for the right school that specializes in independent insurance adjuster training? Would you be interested in a program that has over 95% job placement in the insurance adjusting field? Then you might want to consider applying to (VAS) Veteran Adjusting School. VAS is an adjusting trade school that has a 100% graduation rate and over 95% job placement rate for their students. Veteran Adjusting School takes a student from beginner to expert in an intense 6-week training program. The curriculum at VAS includes a variety of different approaches that instill knowledge and confidence into the student like no other program. The level of training is so well accomplished that VAS has built relationships with independent adjusting firms and insurance agencies to hire their students immediately upon graduation. Veteran Adjusting School has the latest resources, education, and provides state of the art tools so that their graduates have the best knowledge and preparation possible. The course includes hands-on real-world storm simulations by which the student is able to gain deep insight from experience, instruction, and mentoring. Once a student has graduated the VAS independent insurance adjuster training program, they are qualified to become a staff adjuster, an independent day claims adjuster, or a (CAT) catastrophe adjuster. VAS specializes in CAT adjusting because it is the most rewarding and fully encompassing adjusting position. When a major storm event occurs (like a hurricane, flood, hail-storm, etc. ), catastrophe adjusters are deployed to the affected region. 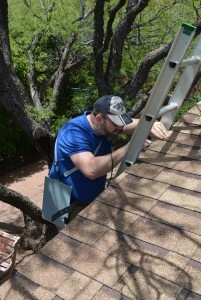 They will spend weeks to months at a time performing inspections making sure that the insurance customers get the compensation they are entitled to under their policy. CAT adjusters typically earn between $70k – $100k in 6 – 9 months during storm season. This gives them 3 – 6 months of vacation time. During this time some adjusters will choose to work day claims as well. Regardless of the independent insurance adjuster training received, success in the field requires hard work, organization, dedication, and self-motivation. Do you have what it takes?